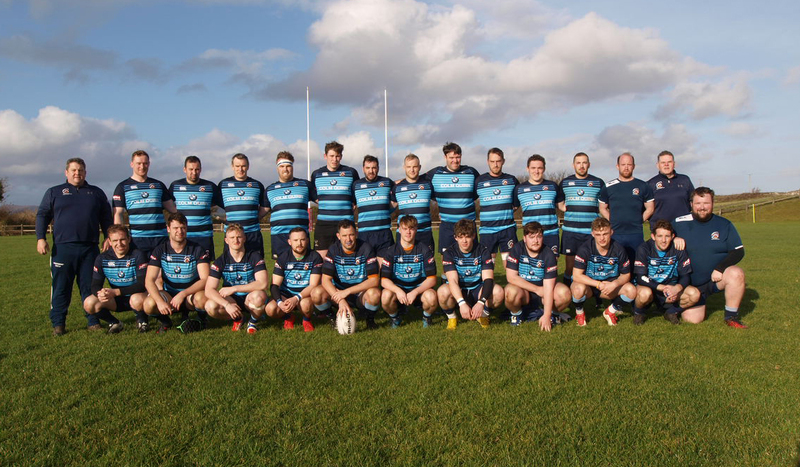 Castlebar's Senior Rugby Team visited Westport on Saturday evening to play their third-round game in the J1A league under lights. Westport RFC were celebrating the official opening of their new floodlights and so had a substantial home crowd in attendance. Westport kicked off into the Castlebar 22 and put the visitors under pressure early in the game. They were rewarded courtesy of a Castlebar knock-on and chose to scrum the ball and went on the attack. Eventually, Sean Tonra turned over the ball and regained possession for Castlebar who advanced into the Westport half on the attack. Possession then changed hands on a number of occasions in the early stages of the first half with Westport kicking for possession into Castlebar's half while Castlebar chose to run the ball on many occasions. With 10 minutes played Castlebar were pinned back inside their own 22 and as they attempted a clearance kick, Westport broke the deadlock with a well-executed block down to run in an easy try under the posts. Their full back Danny McGowan kicked an easy conversion to extend the lead to 7-0 to the home side. Castlebar were guilty of a number of infringements and after 15 minutes Westport took the score to 10- 0 with the on-target Danny McGowan putting the ball between the posts after a penalty awarded for an in from the side offence. From the Castlebar restart, Westport regained possession and kicked deep into the Castlebar half and the ball was taken by Luke Staunton playing at full back who made a lot of ground skilfully avoiding the attentions of the Westport defence. Castlebar were able to get into the Westport half where they went through a number of phases with the ball being eventually offloaded by Damien Togher to the fast-footed Sam Hastings who avoided a number of tackles to score in the corner. Damien Togher kicked for the additional points to bring the score line to 10-7 after 20 minutes of intense play. The remainder of the first half while exciting to watch did not bring any change to the score line. Most of the last 10 minutes, Westport were firmly camped close to the Castlebar try line and thought they had scored on a number of occasions but through some excellent defensive play and determination Castlebar held strong. The half ended with an opportunity for Castlebar to level the scores when they had a difficult penalty kick awarded on the 10-yard line. Castlebar's Ronan Conway went on, replacing Damien Togher at flyhalf but much to Westport's relief, the ball veered to the left and wide to leave the half time score at 10 - 7. The second half started ideally for Castlebar with Westport opting to pass the ball out of their own half. However. after less than 2 minutes of play Castlebar's captain Mark Staunton saw an opportunity to intercept a pass and took off sprinting for the try line chased by a number of Westport defenders. Their second try gave Castlebar the lead for the first time in the game with the score at 10 - 12. 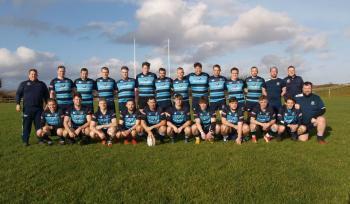 However, following a period of indiscipline and offside offences from Castlebar, Westport were gifted with three penalties in quick succession which their full back kicked skilfully - hitting the target on two of the three occasions giving Westport back the advantage with the score at 16-12. The next score defined the outcome of the game and came from a Castlebar handling error while attacking inside Westport’s half – the ball was awkwardly passed and dropped. Westport’s full back took full advantage against the run of play by kicking the ball down the side-line and chasing to score a breakaway try in the corner which was also converted to extend the home advantage to 23 -12. Westport lost their flanker Brian McCormac through injury and he received a huge round of applause on leaving the pitch after 15 minutes of play in the second half. Luck did not appear to be on Castlebar’s side as they overthrew the ball in their own lineout and it fell to Westport’s scrumhalf Aidan Walsh who launched a Garryowen into Castlebar’s half. As full back Luke Staunton approached to cover, the ball clumsily bounced in the opposite direction falling neatly into the hands of the attacking Westport centre Kevin Corcoran to run in an easy score that was touched down under the posts to leave the easiest of conversions and a score line of 30 -12. With the game looking like it was slipping away from the visitors, Castlebar made a number of changes – Darragh King and Fintan Casey went on but Fintan’s presence was cut short through injury while the influential Jack Rowland on the wing was also forced off through injury. Despite being 18 points behind, Castlebar showed great character and fighting spirit. The forwards including Daire Mulgrew, Fintan Murphy and Sean Tonra rucked hard to regain possession from Westport inside their 22. From the back of the ruck Ronan Conway passed the ball out to Sam Hastings who in turn skipped a number of players throwing an excellent long pass to the running Luke Staunton on the wing to run in a well-executed try. Ronan Conway made no mistake with the conversion to bring the score to 30-19 and give Castlebar a glimmer of hope with less than 15 minutes left on the clock. Jason High came on for Castlebar replacing Andrew Feeney on the wing. Having beaten Westport in the last minute of the Semi Final Cawley Cup game last month, it was clear that Castlebar were never going to give up on this game. They went on the attack and the majority of the last ten minutes were spent inside Westport’s 22 and close to their try line. However, a number of penalties let Westport off the hook and allowed the clock to run down against Castlebar. The last play of the game saw Castlebar gain their just reward in scoring their fourth try with Davey Staunton getting over the line to bring the final score to 30-26. While Castlebar gain two valuable bonus points from the game, they ultimately paid the price for giving away too many penalties allowing Westport to rack up an early lead in the second half, that was always going to be difficult to close in this hard-fought local derby. Next up for Castlebar will be a home game versus Sligo next Sunday at 2.30 pm. All local support will be welcomed and appreciated. CASTLEBAR Liam Molloy, Sean Tonra, Fintan Murphy, Daire Mulgrew, Padraig Conneely, Frank Walsh, Gavin Sullivan, David Staunton, Damien Togher, Sam Hastings, Andrew Feeney. Mark Staunton, Conor Carter, Jack Rowland, Luke Staunton. Subs - Des McCormack, Ciaran O Malley, Ben Conlon, Conor O Toole and Jack Rooney.